There is nothing we can do to avoid the costs of climate change, but there is a lot we can do alleviate its impact. Setting a vision for the next 32 years, this Wednesday (28 November) saw the European Commission publish its A Clean Planet for all strategic long-term vision for a ‘climate neutral economy by 2050’. Required by the 2016 Paris Agreement, the Commission’s mid-century plan lays down eight potential pathways for the EU to reduce its greenhouse gas emissions by 80% or even 100% (net-zero) compared to 2010 levels using the already agreed 2030 energy and climate policies as the baseline. While claiming that its purpose is ‘not to set targets, but to create a vision and sense of direction’, it places decarbonisation of power generation at the core of each scenario and calls for 80% of all electricity to be generated from renewable sources by 2050. A majority of the remaining 20% would be covered by nuclear energy according to the plan. Alongside cleaner energy production, building insulation and energy efficiency are also of particular importance, as buildings currently represent the largest share (40%) of the EU’s total energy consumption. The Commission estimates that a successful transition to a net-zero emissions system by 2050 would provide the EU with economic benefits up to 2% of the GDP (€400 billion under current estimates), while also reducing environment-related public health costs by €200 billion. On top of this, limiting the warming of global average temperatures would reduce climate damage such as droughts and flooding, which according to the European Environmental Agency (EEA) cost over €400 billion between 1980 and 2016 without taking the costs associated with the loss of human life, cultural heritage and ecosystem services into account. From a security perspective, the reduced dependency on fossil fuels would also make the EU less vulnerable to energy crises. As an added bonus, tackling climate change would also leave the future generations with an inhabitable planet to live in. The ambitious plan was released just days before the opening of COP24 – the 24th annual Conference of Parties (COP) of the United Nations Convention on Climate Change (UNCCC) – taking place in the Polish coal mining city of Katowice this December. The conference is particularly significant because of its aim to adopt a programme on implementation of commitments between the 184 parties of the Paris Agreement. It may also result in new UN recommendations on fighting climate change, although binding states to their commitments and enforcing sanctions on states failing to meet their targets will in all likelihood remain a challenge for the future. During the conference, the UN Intergovernmental Panel on Climate Change (IPCC) will present its landmark report to the world leaders in attendance. The 700-page report, which was released in early October, covers data from over 6,000 publications as well as 133 expert contributions and was reviewed by more than 1,000 scientists. It was commissioned by the UN in part to map out the differences in consequences between the Paris Agreement’s goal of limiting global warming to 2C and its less-binding ambition of limiting warming to 1.5C. As it turns out, this 0.5C extra would, for example, put around 10 million more people at risk due to rising sea-levels, bring an estimated €13 trillion euros of additional economic costs, increase water scarcity in the world’s poorest regions by 50%, and double the decline of marine fisheries. The report also states that we have just 12 years to sort ourselves out before the momentum of our current inaction sets us on a course of no return. Yet, as Jim Skea, an IPCC working group co-chair, said about the report: “One thing the report did not aspire to do is answer the question of feasibility.” In other words, the laws of physics and chemistry may still be on our side for a narrow period of time, but the laws of politics are often less forgiving. Although the solutions proposed in the report are largely based on already existing technologies, what remains to be accomplished is convincing decision-makers to spend billions on a long-term plan in a global system run on short-term gains and limited trust. This has also been recognised by the UN, which has previously singled out the importance of agreeing on worldwide financing of climate action commitments during COP24. To this end, as is often the case with rules-based multilateral action, the EU has the potential to set an example for others to follow, which it must now boldly embrace. Indeed, as sustainability will not last without affordability, significant public investments on climate action are required over the next 12 years. According to the Commission, the EU is already spending over €206 billion (about 20% of the overall budget) on climate change-related action from its 2014-2020 multiannual financial framework (MFF), while the Commission’s proposal for the 2021-2027 MFF would raise the share of these activities to 25% of the budget. Crucially, the EU needs to focus on emissions from sources which are currently not covered by the Emissions Trading Scheme (ETS, the world’s largest carbon market covering 45% of the EU’s greenhouse gas emissions). Although the EU has already managed reduce its emissions by one-fifths since 1990, a ceiling for further reductions is fast approaching if it does not place a significant emphasis on practicing the integrated approaches envisioned in the long-term strategic plan to achieve deep emission cuts on buildings and transport in particular. Nonetheless, the Commission’s long-term vision is not in the clear yet. It will face its first test the week following COP24, when the member states’ energy and environment ministers convene separately in the Council on 19 and 20 December. The discussions will most likely emphasise the costs involved in the plan and the division of labour between member states. Furthermore, given the all-encompassing scope of climate action, we can also expect the agriculture, economy, and transport ministers to scrutinise the plan in the near future. 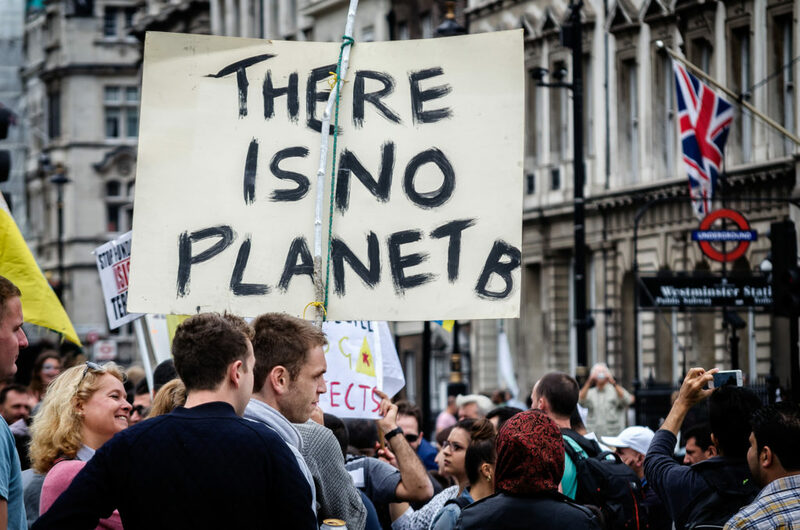 Further along the line, the European Council’s upcoming “Future of Europe” summit in Sibiu, Romania on 9 May will also indicate climate action’s ranking in the EU leaders’ political pecking order just weeks before the 2019 European Elections. And without the support of national leaders, of course, the next Commission cannot set the agenda for an actual long-term EU policy on climate change. But acting coherently and according to a common strategic vision, the EU and its member states can provide much needed leadership in global action to tackle climate change before it is too late.